Hello there, and thank you for taking the time to gander at this project of mine! If you're unfamiliar with the Anime/Visual Novel franchise known as Fate, here's a quick rundown: Seven chosen mages in the modern day summon heroes of legend as Servants to fight one another in a bid for the Holy Grail, said to grant the winner any wish they desire. After watching a good portion of the Anime spin-offs, I was inspired to run a tabletop RPG session, set in the Fate universe for a number of my pals. One thing led to another, and I thought it would be neat to play a short audio drama for each player, detailing their heroic Servant's backstory. 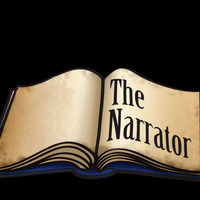 I'm looking for talented and enthusiastic voice actors to portray the various characters in this audio drama. I'll compile the voice clips, edit the audio, add music and sound effects, and create four separate 6 to 12 minute-long set pieces for my players' enjoyment. But I need your help to make it happen! Those of you who impress me will be given the parts, but for those who REALLY impress me, I'll be more than happy to write you a recommendation! On top of that, I'll be sure to share the finished product with everyone involved if you'd like to include any of it in a demo reel or something. It's the least I can do for your help with this. Once I've hosted the session for my friends and played the completed project for them, I plan on posting it to YouTube for people to enjoy (Hopefully enjoy, anyway). This probably goes without saying, but if your audio quality isn't up to snuff, your odds of being passed over are pretty high. Sorry. If you're unsure what tone works best for any given line, feel free to do two. I ask that you not add any music, sound effects, distortion, etc. to your audition. Normalizing the volume or editing out flubbed takes is perfectly fine, though. Even if you don't get the main role you auditioned for, do not despair: If I still liked what you brought to the table, I'll likely reach out to you with an offer for some extra bit parts. If you're selected for a role, I'll send you the script very shortly after. So, please be willing to adhere to the deadline I give you at that time. Should you have a cool idea on how to voice a particular character, go ahead and try it out! Nothing wrong with experimenting. Thank You Again For Your Interest! Happy Auditioning! One of the protagonists from the legendary tale of Dracula, Mina Harker is summoned into the Holy Grail War as the ranged combatant Archer, wielding crossbows, throwing knives and revolvers. While assisting in hunting down the evil Count Dracula, Mina herself was targeted and bitten in the process. Like the novel, the heroes of the story defeat the vampire before she can be fully turned. However, the Fate: Finality version of this chronicle ends with her friend and mentor Abraham Van Helsing sacrificing himself to achieve this goal. In response, Mina picks up the mantle of Van Helsing, continuing to purge the unholy creatures that prey on the weak. A British/English accent is recommended for this audition, but not required. [SORROWFUL] "Abraham, wait! Please... allow me to be the one to put her down. I owe her this much. Please... Forgive me, Lucy..."
Husband to Mina, Johnathan is cautiously supportive when she decides to train under the tutelage of Abraham Van Helsing. He becomes directly involved when Count Dracula infects her with a vampiric bite. While unskilled in combat and tracking, Johnathan's assistance was no less vital in bringing down the Count. A British/English accent is recommended for this role, but is not required. [APPREHENSIVE] "I confess, I'm worried. We only just recently discovered the creatures that go bump in the night are real... And now you volunteer to fight them! But, if it's what you truly want, Mina... then I won't stop you." "You're right. We cannot suffer this unholy curse to spread. I am with you, Abraham. Just say the word, and I shall do all that I can." 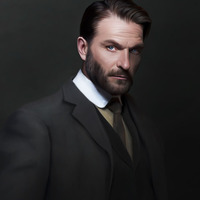 Doctor, teacher and vampire hunter, Abraham Van Helsing enters the story to help Mina and Johnathan lay their recently undead friend Lucy to rest. From there, he passes the secrets of vampire slaying on to Mina, at her request. While his party of wouldbe nightmare hunters successfully track down the legendary Dracula, Abraham sadly falls during the confrontation. 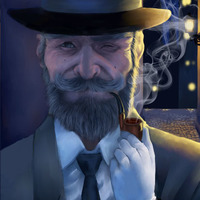 Grief-stricken, but unshaken, his pupil and friend Mina chooses to carry on the Van Helsing legacy in his stead. A German accent is recommended for this role, but is not required. 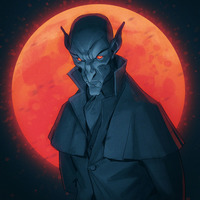 The quintessential vampire, Count Dracula works predominantly in the shadows within this version of the classic tale. 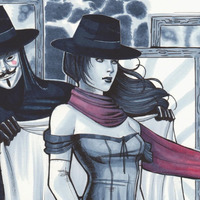 However, he makes his presence known when he bites Van Helsing's newest apprentice, Mina Harker. Even then, the gesture is only meant as a way to taunt and torture his rival. The Monkey King from the infamous Journey To The West, Sun Wukong finds himself summoned into the Grail War as the Lancer class. 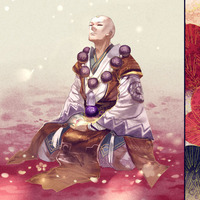 During his backstory, Sun earns himself the ire of nearly the entire Chinese pantheon through stealing, tricking and fighting them at every turn. As punishment, Buddha imprisons him underneath a great mountain. 500 years later, he is released from confinement to assist a monk named Tang Sanzang in bringing sacred Buddhist texts back from India. During their quest, the Monkey King learns valuable lessons about humbleness, compassion, and patience. A soft-spoken Buddhist monk, Tang approaches Buddha for aid in transporting Buddhist scripture from India to China. Seeing the virtue in his goal, Buddha grants Tang a reluctant bodyguard in the form of Sun Wukong. Starting their journey as strangers, the two develop a strong friendship, fighting off demon attacks and outmaneuvering traps. [AWKWARD] “So… Monkey King, huh? Does that mean you conjure up other monkeys to do your bidding and stuff? 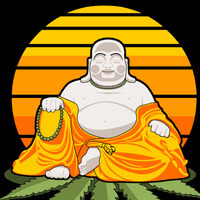 A-haha…"
Mythical founder of Buddhism, the Buddha transcended mortality and earthly desires through enlightenment. When the gods complained to him about Sun Wukong thieving and attacking them, Buddha gave him the chance to renounce his mischievous ways, but was rejected. In response, Buddha imprisoned Sun for 500 years, only letting him out to accompany Tang on his quest to retrieve the Buddhist Sutras. "(*Sigh*) I’m sorry that I must do this, Sun, but I do it to guide you towards enlightenment. I am placing you under this mountain for an indeterminate length of time. Perhaps then you will learn the error of such selfish and arrogant behavior." The fabled Dragon King of the East, Ao Kuang's role in Sun Wukong's story is small, but nevertheless pivotal. Ao Kuang confronts the Monkey King upon discovering he has broken into his armory and pilfered the legendary size-changing staff, the Ruyi Jingu Bang. Though he is unsuccessful in thwarting Sun's theft, the Dragon King petitions Buddha to put a stop to the Monkey King's antics. 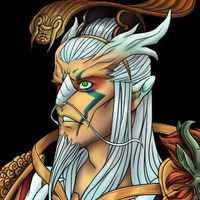 [ANGRY] “Hear me now, lowly thief: I am Ao Kuang of the Eastern Sea! The very elements themselves bend to my will! And all who steal from me… will be made to SUFFER THE CONSEQUEN-Ow!" The central "bad guy" from many cautionary fairy tales, the Big Bad Wolf ("Bigby") is summoned into Fate: Finality as a Berserker. His audio skit flashes back to three of his most iconic stories, but with a more off-kilter tune to them. The narration and presentation highlight Bigby's dark deeds, but also draw attention to the violent and oftentimes humiliating acts the wolf suffers at the hands of the "heroes." [ANGRY] “What?! MERCIFUL?! I am a proud and free wild ANIMAL!! I would sooner DIE than suffer this humiliating captivity! Release me! RRAAARGH!! RELEASE ME!!!" Much of Bigby's story is told through a storybook narrator. All of his/her dialogue is read like how an adult reads a story aloud for small children, even when the verbage takes a dark turn. "The Big Bad Wolf sprang down the opening with a ‘WHOOSH!’ But waiting for him in the fireplace below was a roaring blaze the pigs had quickly lit." 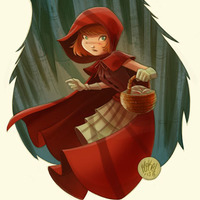 Star of the Grimm fairy tale of the same name, Little Red Riding Hood journeys into the forest one day to deliver some goodies to her grandmother. But she's horrified when she discovers that the Big Bad Wolf has devoured her grandmother, taken her place, and has similar dining plans for Red! "Wow, you must have come down with something bad, Granny. Your face is all swollen. I mean, what big ears you have! And what big eyes you have! 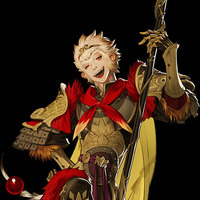 And what big... t-...teeth you have..."
Protagonist of the titular book, Don Quixote is, in reality, the knightly alter-ego of Alonso Quixano, now summoned as a Rider-class hero in Fate: Finality's Holy Grail War. 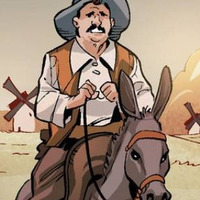 After Alonso (No joke) rots his brain from reading too many books about knights and chivalry, he adopts the name "Don Quixote," and rides out into the country, seeking to right all the wrongs of the world. Unfortunately, he nearly always misinterprets and/or hallucinates during these "quests," oftentimes causing more harm than good for those he wishes to help. This is frequently done to comedic effect. A LatinAmerican/Spanish accent is preferred for this role, but is not required. PRO-TIP: His name is pronounced "Kee-HO-Tay." "Robbed? Far from it, milady - You are, in fact, being liberated! No 'Thank you,' is required, fair maiden. The deed itself is reward enough for Don Quixote! Now, onward! There is more work to be done!" A farmhand persuaded to accompany Don Quixote as his squire, Sancho serves as the comedic foil to his friend's clumsy escapades. 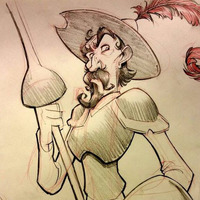 Good-hearted, but a bit too forgiving, Sancho is frequently left holding the luggage and/or trying to reign in Don Quixote's exuberant behavior. [MAKING UP AN EXCUSE] "Terribly sorry, everyone! He is… in character for a play we are rehearsing! He takes the role very seriously. I’d best attend to him. Apologies!" "Alonso, had you not invited me along on your flight of fancy, I would have simply continued slaving away on that farm, day after uneventful day. True, I’ve returned to tending the farm, but you have given me stories to tell my friends and family. Tales to pass down to my grandchildren. No sum of money could ever replace that." Simply a pretty lady from Alonso's town of La Mancha, his deluded mind convinces itself that she is his one, true love Dulcinea. Utterly (and understandably) confused by his sudden familiarity, she does not know how to handle his advances. Later in the story, she is asked to humor his delusions and write a letter as Dulcinea in an effort to lure the Don home. [CONFUSED] "Um, I'm so sorry, sir, but I don't believe we've met. I think you may have me confused for another woman." [MELODRAMATIC] "My Dearest Don Quixote, I wish I were writing you in better spirits, but alas, my straits have grown quite dire. News of your courageous exploits have reached a man calling himself The Knight of the White Moon. Eager to challenge you, he has taken me prisoner! He attempts to learn your weaknesses through me in order to best you in combat, but it is a futile effort: My love for you renders me immune to thoughts of betraying you." Here is a small sample of the number of Extras also available: Female Vampire, Vampire Minion, Angry Gods & Goddesses, Demon, The Three Little Pigs, Guard, Monks, and more! As stated above, I'll be reaching out to those that don't get any of the major roles, but I can tell have the talent, asking them if they're interested in filling in for some extras. But, for those of you who would like to try their hand now, feel free to demonstrate your range here, including any accents you can pull off! HUNGRY DEMON: "You there, Monk! Rumor has it sampling your flesh holds the secret to immortality!" 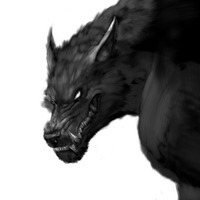 ONE OF THE 3 LITTLE PIGS: "Th-...The Wolf! He’s after us! He’s already threatened to devour us and destroyed both of our houses!" CRAZED VAMPIRE THRALL: "Yes, Lord Dracula! By your will, I shall remove these pests!" CONCERNED NOBLEMAN: "Well, in nearly every knight’s tale, there is a central villain and rival that the knight strives to defeat. What if in order to break his delusions… we had to first indulge them?" OUTRAGED GODDESS: "Merciful Buddha, please do something about this demon The Monkey King! He has been a plague upon all of us in Heaven!" VAMPIRESS: "(*Creepy Breathing Sounds*) *HISS! * Who dares approach me?" CONCERNED MAID: "You’re approaching 50, Master. At your age, the last thing you need is some silly book giving you delusions of adventure."